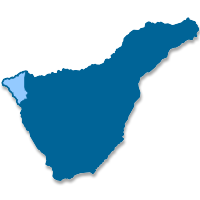 Buenavista del Norte is one of the few Canarian municipalities counting with its own Foundation Act, dated on 1513. 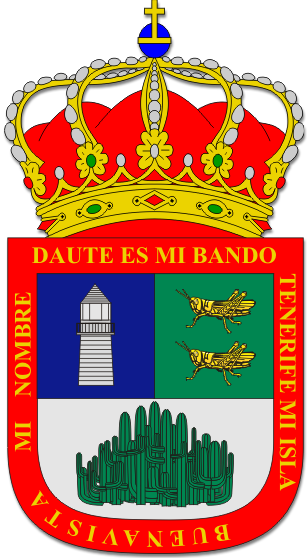 But several years before, on 11th march 1498, Alonso Fernández de Lugo gave Diego de Cala some lands "in La Fuente del Cuervo, in the area of Buenavista"
A good deal of the municipality's territory lies in one of the three oldest geological areas of Tenerife: the Teno Massif, formed by multiple lava flows. Later on, the continous erosion activity shaped a relief characterized by deep ravines, like that of Masca, and big cliffs. Some of these cliffs remain active, like those of Los Gigantes, but others have been left away from the coast by the accumulation of rocks that have gave birth to the so´called islas bajas (low islands). The Teno Rural Park roughly encompasses the Teno massif and the surrounding areas. Its 8.063,6 Ha. are shared with the neighbouring municipalities of Los Silos, El Tanque and Santiago del Teide. The 69,4 % of the park's area lies in Buenavista del Norte and is one of the most attractive places in Tenerife's offer of alternative tourism. 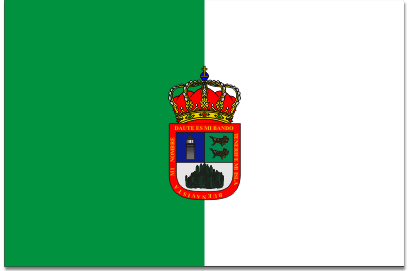 The Buenavista del Norte Town Council uses, unofficially, a flag vertically divided green and white, with the municipal coat of arms in the centre. Per pale and per fess. First, azure, a lighthouse proper. Second, sinople, two grasshoppers or, passant. Third, argent, a cardon (local cactus) sinople. Bordure gules with the legend Daute es mi bando. Tenerife mi isla. Buenavista mi nombre (Daute is my band. Tenerife is my island. Buenavista is my name) in letters or. Ensigned with a royal crown, closed. In the first quarter, azure symbolizes the sea and the sky, faithful companions of the town, in the words of Viera y Clavijo, and the lighthouse represents the one existing in Punta de Teno. In the second quarter, sinople symbolizes the fertility that gives name to the region, and the grasshoppers recall the legend telling that the town had a miracolous escape from a plague of this insect that devastated the rest of the island in 1659. The cardon represents a specimen 148 m2 wide that existed in municipality, but has disappeared. gules in the bordure recalls the reddish colour of the earth in the area of El Palmar, while the inscription Daute es mi bando alludes to the aboriginal kingdom, band or menceyato of the same name that had its centre in what today is Buenavista del Norte's municipal territory. Order Consejería de Presidencia of 7 march 1986 (BOC of 10 march).